I happened to be in the Marin Headlands with my friend Christina and we decided to stop in at the Marine Mammal Center. 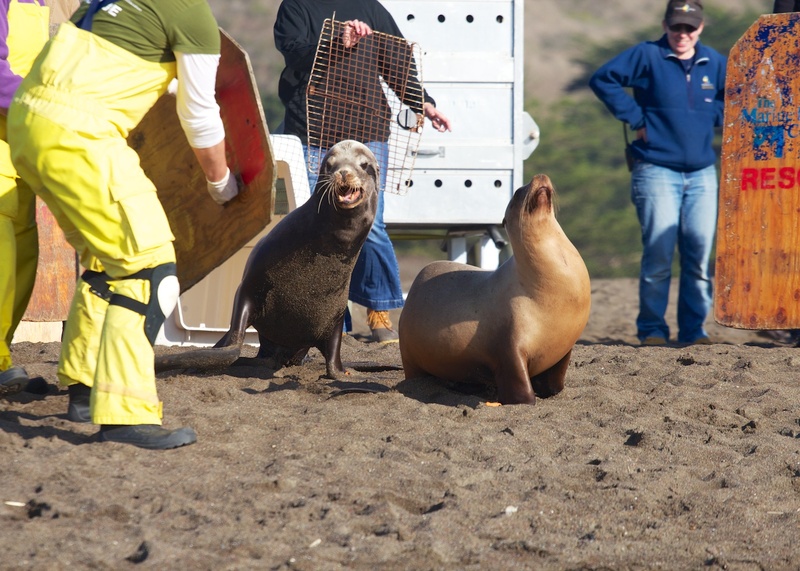 How lucky we were to learn they would be releasing two sea lions back to the wild that day! 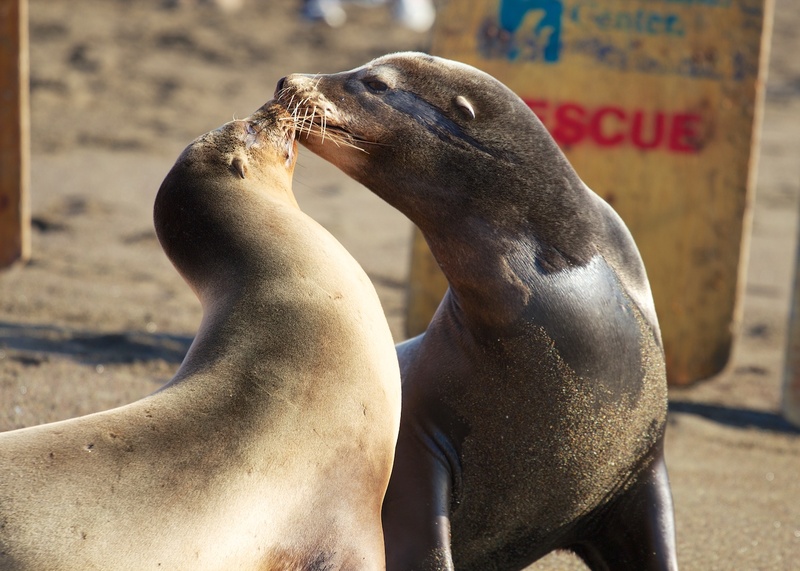 The sea lions had been suffering from a bacterial infection but were now recovered! So, not only a beautiful sunny December day in Sausalito enjoying the coast, but the opportunity to see these sea lions return to their natural habitat! 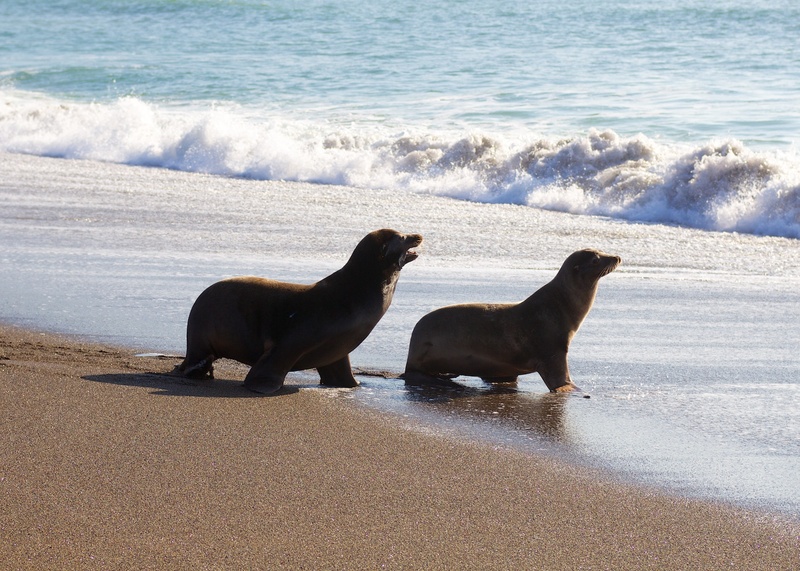 13 December 2011 – Two sea lions celebrate their return to their native habitat after recovering from illness at the Marine Mammal Center in Sausalito California! Marine Mammal Center volunteers releasing sea lions back to the sea! 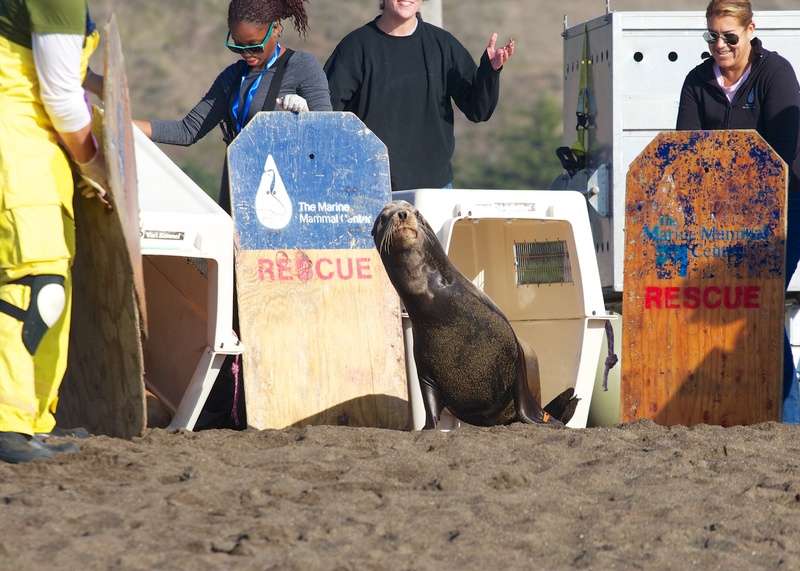 Plywood shields are used to guide the sea lions and also for protection, if needed! Back to the sea…at last!